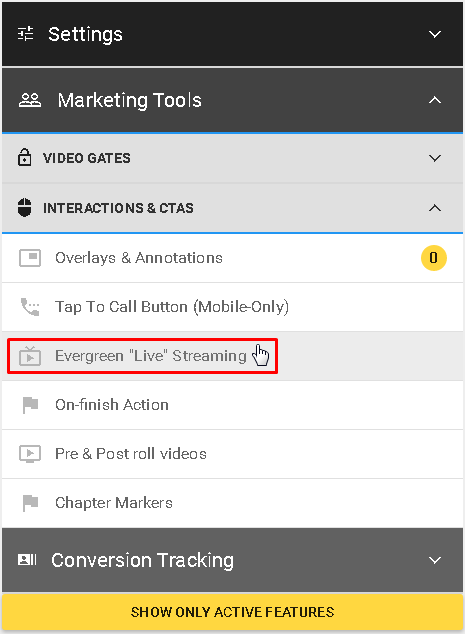 The Evergreen Live Streaming will make your video look and feel like they are being presented live and thus have an inherit scarcity to the content. They have the look and feel of a live webinar except they are set up ahead of time with a pre-recorded video with a set date and time to play. This feature can be found in Marketing Tools under INTERACTIONS & CTAS. Turn the toggle on to activate this feature. 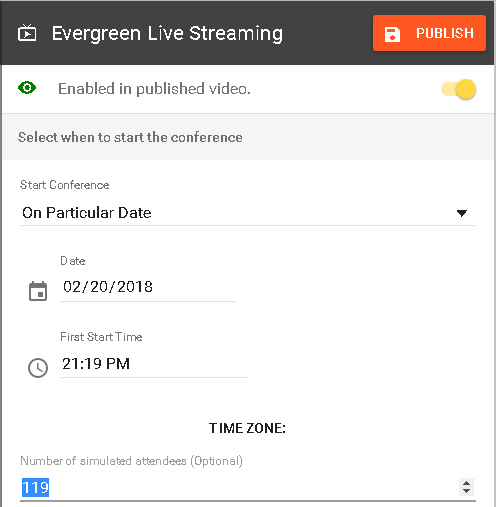 Here you can specify date and time when your "live" conference is scheduled. One nice optional feature is that you can also put a number of viewers that are currently watching your conference to give the "stream" more of a live feel. This number is completely up to you and everyone will see it once they join your conference. We also wanted to make sure this number was dynamic and changed with your actual viewers, so we created an algorithm that will add and deduct viewers from this number as the "live" conference is being held. 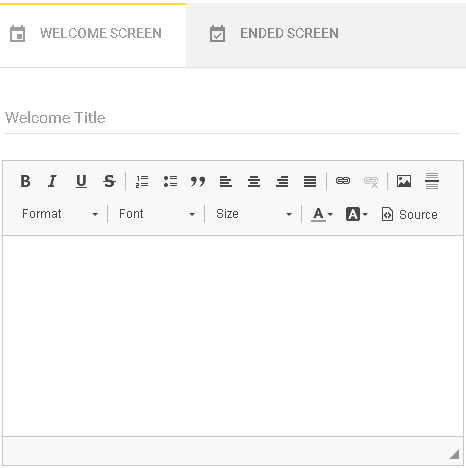 Furthermore, you can customize welcome/end screens as you like.